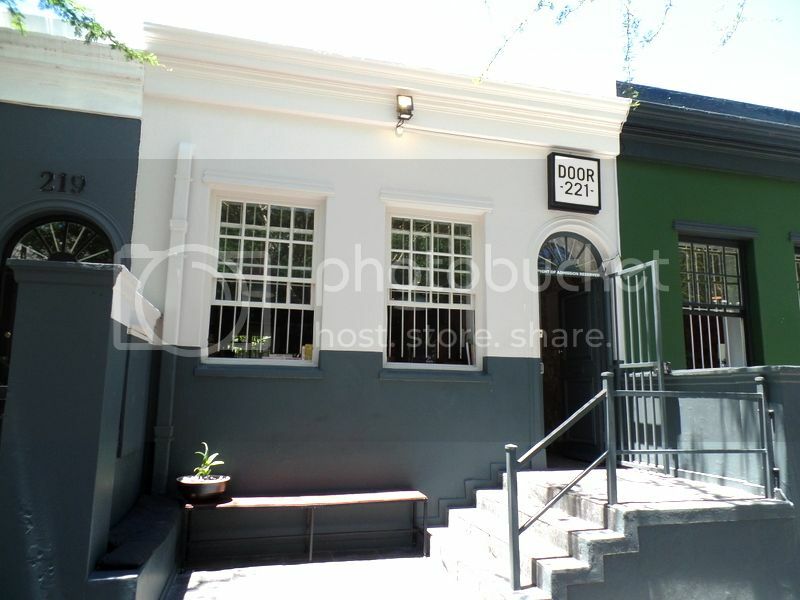 My first introduction to Door 221 was a drunken evening where I spent R250 on french fries. Granted we were all marvelously tipsy and I took it upon my self to buy french fries for the entire table as somehow we had managed to miss dinner. We spent the majority of our evening of Tuning the Vine parked off at Door 221 drinking wine and smashing amazing french fries! Its a pretty perfect way to spend a tipsy wine soaked evening in my opinion. Since the initial french fry encounter the cravings were strong. I also needed confirmation that they were actually as good as I remember or whether it was just the wine talking. I’m pleased to say the french fries are as good as I recall! 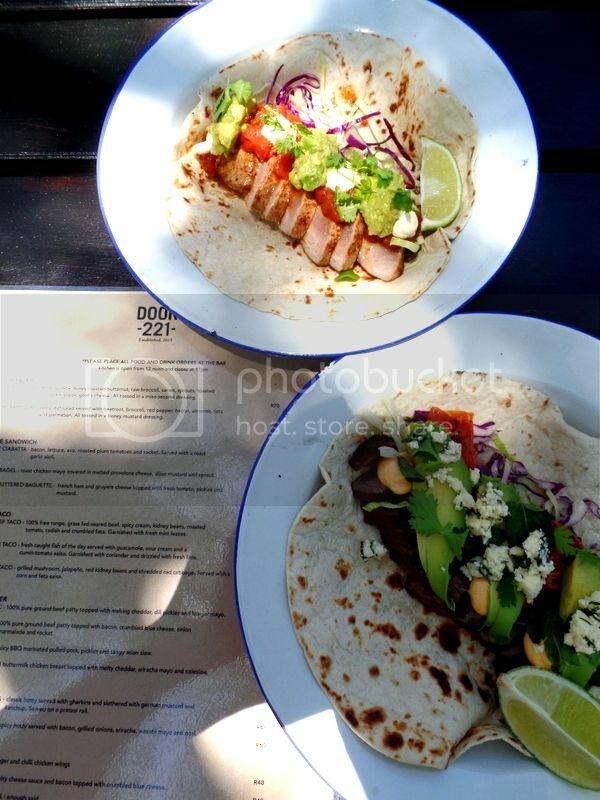 I visited Door 221 for a quick lunch where we proceeded to order all of the tacos and the famed french fries! These fries aren’t any ordinary fries! They are The Trinchado Fries! 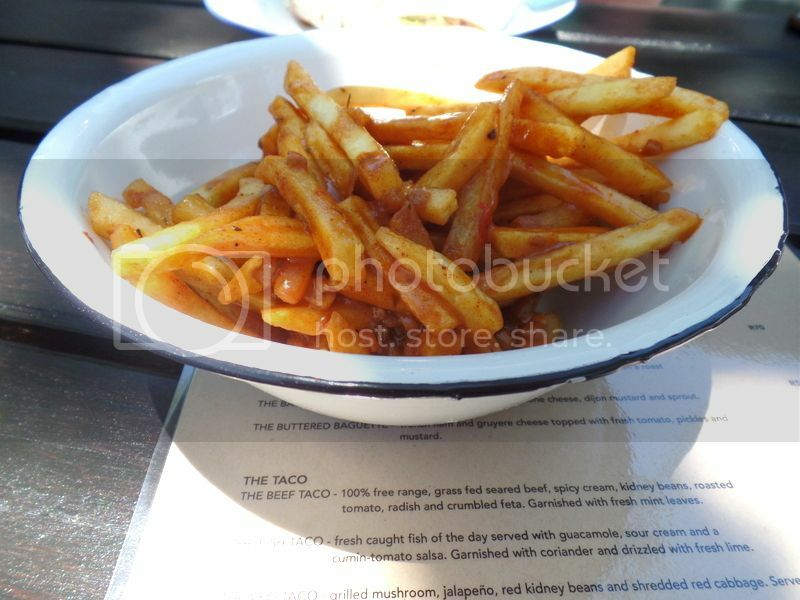 These guys are skinny crispy french fries covered with a spicy prego sauce kind of thing! They lived up to their drunken memory and are a must order side when dining at Door 221. Of the three tacos I think my favourite is the veggie taco! I always get excited when the veggie option is the winner – not because I’m a vegetarian but because a veggie dish often needs a little more attention to come out the champion choice. 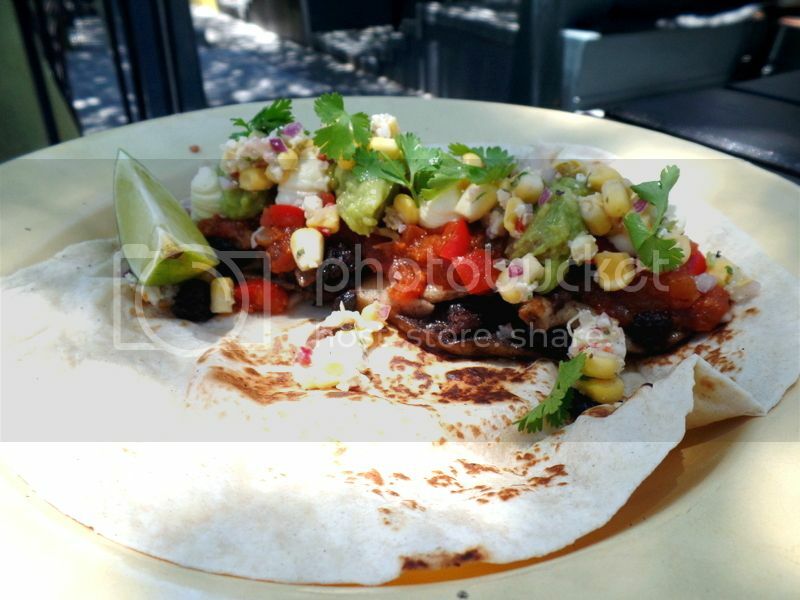 The veggie taco is made up of grilled mushrooms, jalapeno, red kidney beans and shredded red cabbage and served with a corn and feta salsa. The giant grilled mushrooms created a delicious umami base and were topped with lots of exciting and authentic flavours! The next winning dish was probably the fish taco which is fresh caught fish of the day with guacamole, sour cream, cumin tomato salsa and topped with coriander and fresh lime. The fish of the day was tuna and actually inspired me to recreate these tuna tacos that weekend with lots of avo, slow roasted tomatoes and pickled red onions! 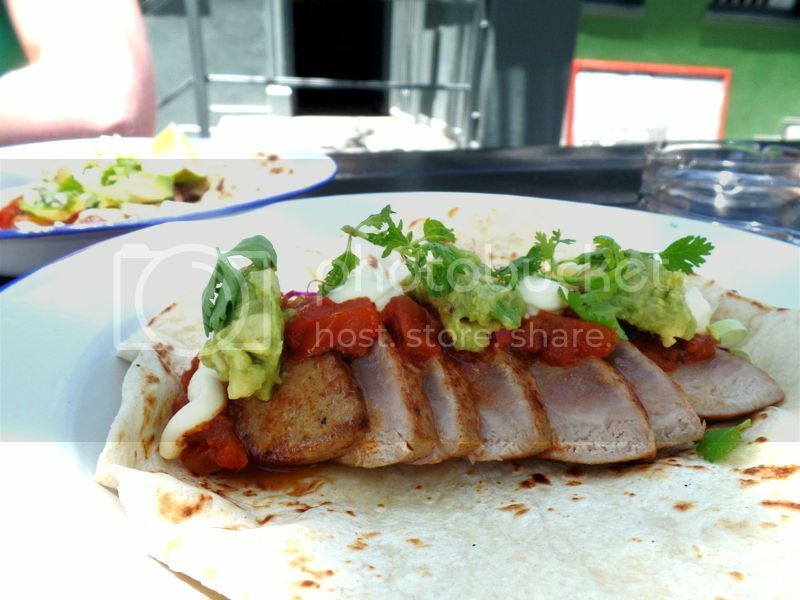 The beautiful tuna fillets were cooked to perfection and was a knock out partner to the cumin tomato salsa! The beef taco was another fantastic choice and will do the meat lovers proud! The taco is fillet with many slices of free range grass fed seared beef, spicy cream, kidney beans, roasted tomato, radish, crumbled feta and mint leaves! This was a flavour sensation and I loved the spicy cream with the tender beef and fresh mint leaves. 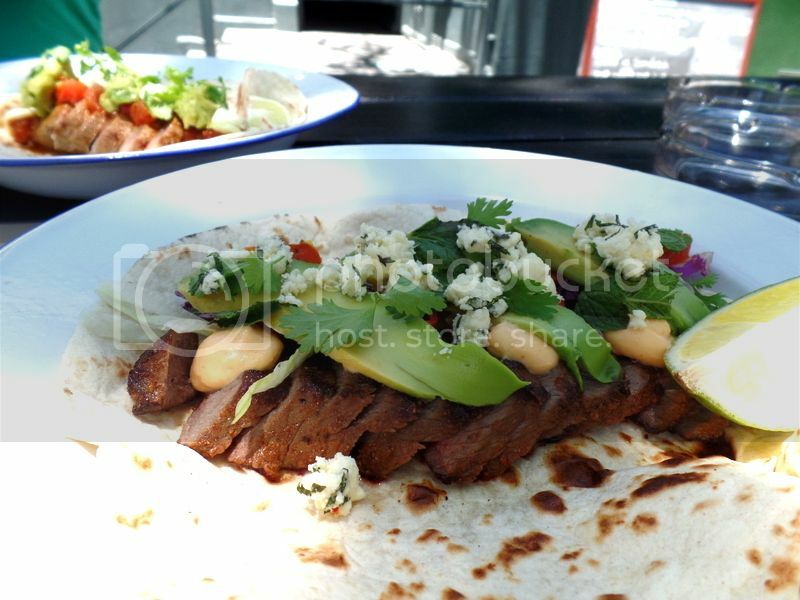 This taco was fresh and well balanced for what could become a very heavy dish. The food is delicious and that is why you will keep heading back to Door 221. Service is pretty non-existent and you need to order at the bar inside which is a personal pet peeve of mine. But when the food arrives you get over yourself. Those chips have me DROOLING! Flip they look yummo!